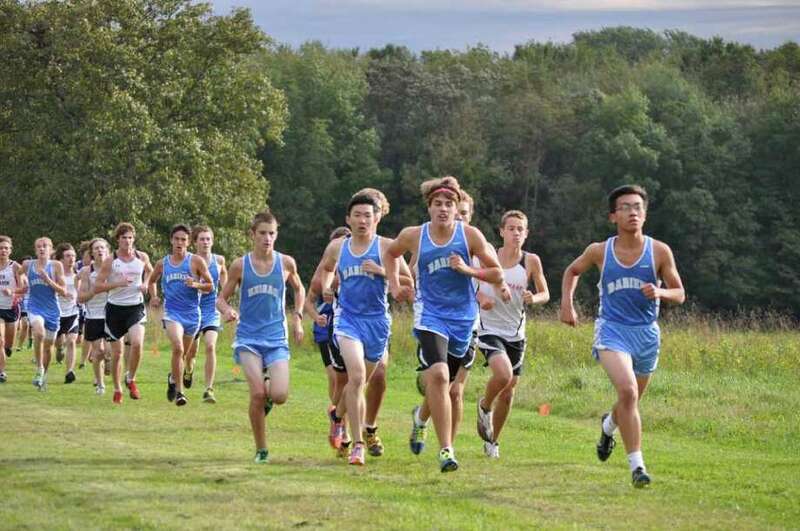 The Darien High School boys cross country team extended its undefeated season in Tuesdayís meet at New Canaanís Waveny Park, boosting its record to 14-0. The Darien boys cross country team extended its undefeated season in Tuesday's meet at New Canaan's Waveny Park, boosting its season record to 14-0. The Blue Wave notched five more victories, out-running opponents from New Canaan, Fairfield's Ludlowe, Westhill, Brien McMahon and Harding. Darien's solid team performance secured its victories over the other squads. The Blue Wave defeated New Canaan (15-50), Ludlowe (16-47), McMahon (20-43), Westhill (20-43) and Harding (15-50). The five victories, combined with a forfeit from Bridgeport Central for its Sept. 13 meet, resulted in the team's six new wins. Darien dominated the race, with a pack of its top four runners finishing in the No. 4-7 spots. Darien also put more runners in the top 10 than any other opponent. Senior captains Charlie Baird, Michael Coe and Michael Johnston, along with freshman Alex Ostberg, finished together in 17:26. Sophomore Peter Kreuch finished eighth overall and fifth for the Blue Wave in 18:11. Also scoring points for Darien were captain Eli Converse and Brian Davey, who finished ninth and 10th for the team, crossing the line in 18:15 and 18:26, respectively. "We accomplished our goal today. We keep working towards the postseason," Darien coach Tyson Kaczmarek said. The team's next meet is the Wickham Park Invitational, set for Saturday at Wickham Park in Manchester, where the team will compete against squads from across the state. Darien returns to FCIAC competition at 4 p.m. on Tuesday at Tod's Point in Greenwich to take on Greenwich, Fairfield Warde and Wilton.